Animals have featured in art since prehistoric times and artists have portrayed them in different ways throughout history. Some artists prefer to paint animals with the aim of observing nature, while others use animals as subjects to provide social commentary. Here are 10 famous paintings for animal lovers to enjoy. 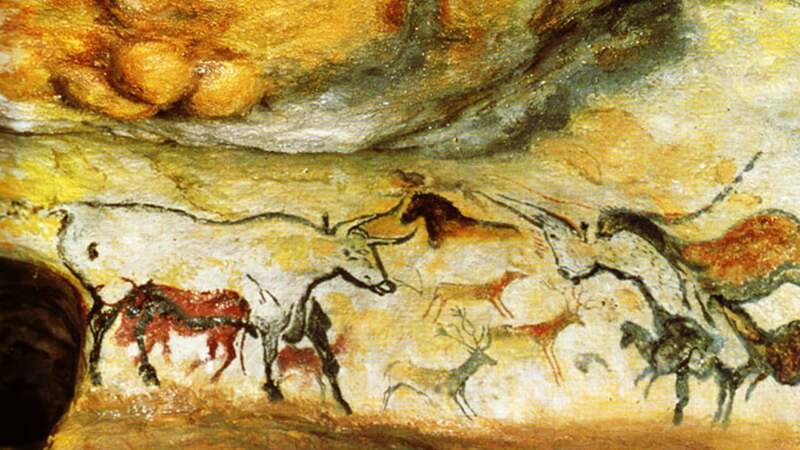 The opening to the Lascaux caves in the south of France was discovered on September 12, 1940 and over 2,000 paintings were found on the walls. The paintings are approximately 17,300 years old and were created using different coloured mineral pigments. Hundreds of these paintings depict animals that roamed the area at the time, including horses, stags, cattle, bison and birds. 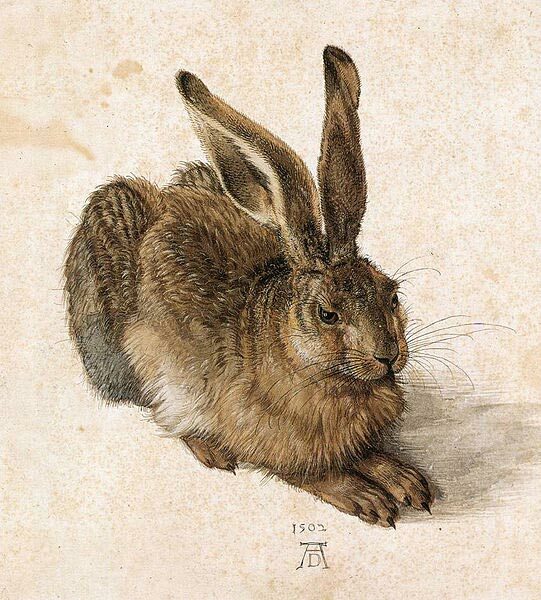 This watercolour painting by the German artist Albrecht Dürer has been praised for its striking accuracy and realistic portrayal of the hare. This is one example of how some artists use animals in their work to observe them with scientific detail. 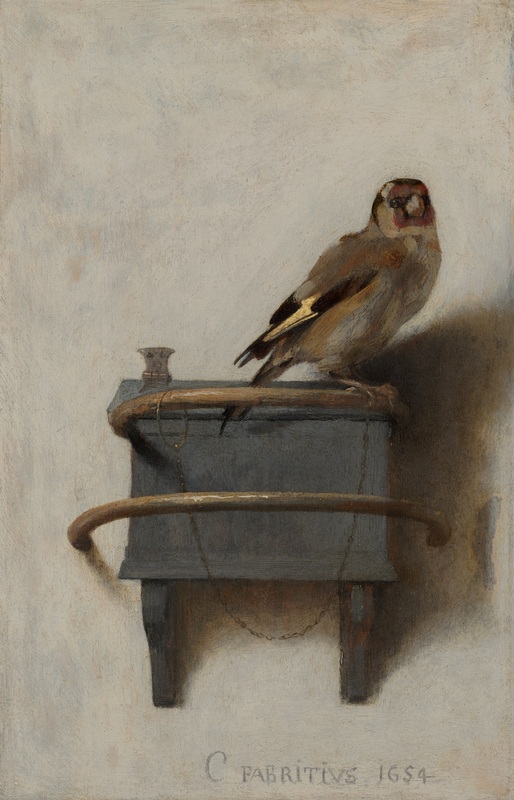 The Goldfinch was one of the final works by Dutch artist Carel Fabritius before he died when a store of gunpowder exploded near his home.This painting shows a goldfinch chained by one of its feet and is notable for its large, sweeping brush strokes and its careful attention to detail. Liverpool-born artist George Stubbs was passionate about equine anatomy for most of his adult life. Whistlejacket was a horse owned by Charles Watson-Wentworth, a rich and influential politician in the 18th century. 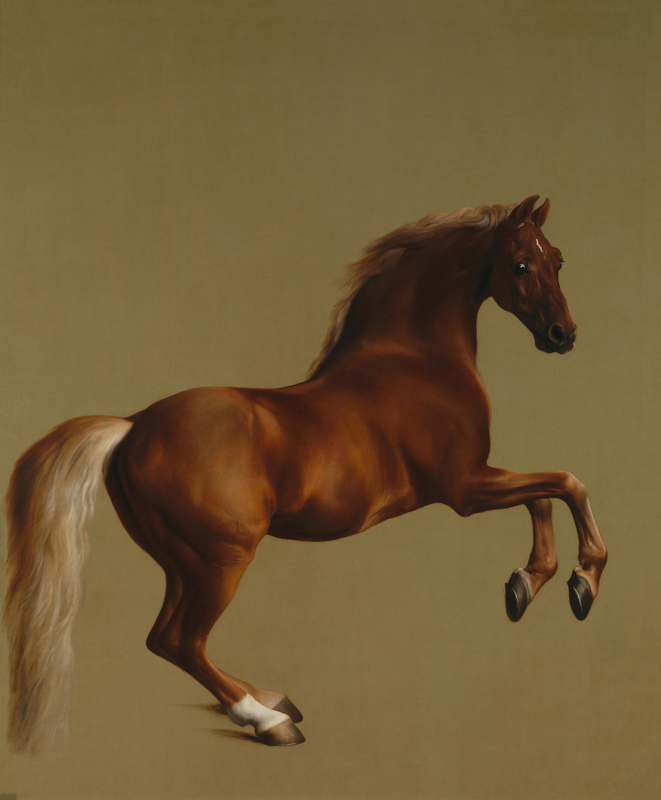 This is one of the most famous animal paintings because of Stubbs’ advanced and impressive knowledge of horses. The Horse Fair is Rosa Bonheur’s most famous work. She was a French animalière (painter of animals) and was particularly interested in domestic and farm animals. Bonheur painted this after making a series of sketches at the horse market in Paris and the finished piece was internationally acclaimed. Surprised! 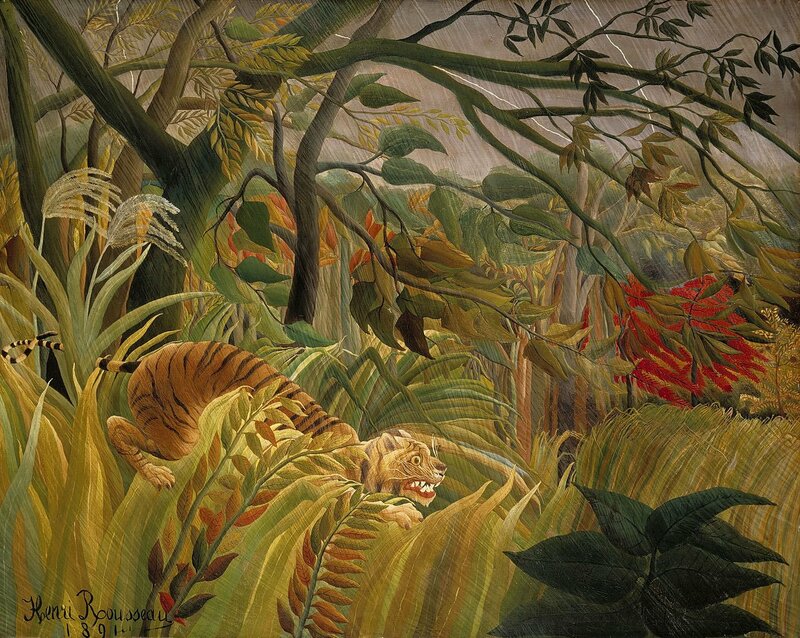 is the first jungle-themed piece by French artist Henri Rousseau. This is an oil-on-canvas painting showing a tiger preparing to pounce on its prey in during a violent tropical storm. Although it wasn’t favourably received at the time, it still remains one of the most famous animal paintings. 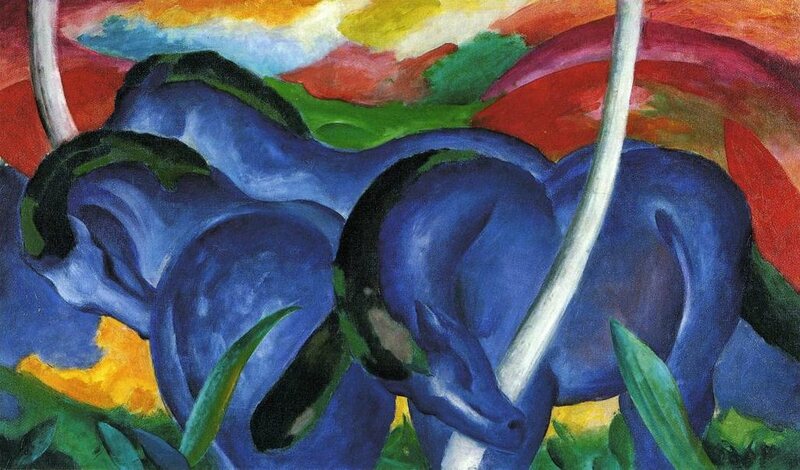 Franz Marc was a key figure in the German Expressionist movement and influenced other artists despite his short career. Animals were often the subject of his works, which are well known for their bright, bold colours. This particular painting is an example of how he used vibrant colours to create a powerful effect; blue in particular is a colour he associated with masculinity, spirituality and harmony. 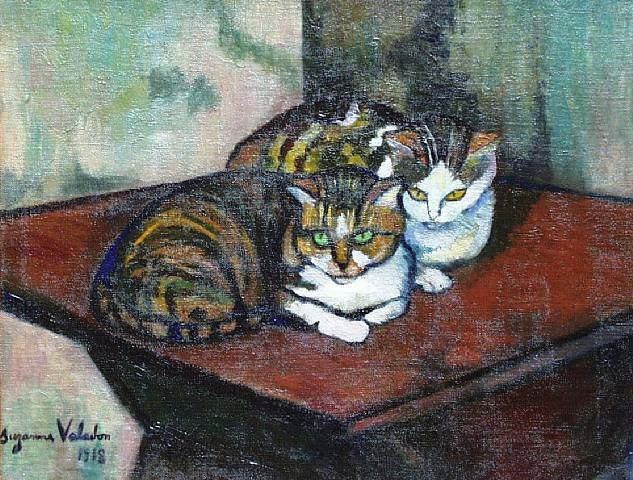 Suzanne Valadon started as a model for other artists to paint, which then sparked her personal interest in painting. Although animals were not her specialism, she was known to focus on domestic settings from time to time in her art. She’s known for her use of rich colours and harsh black outlines in her work. 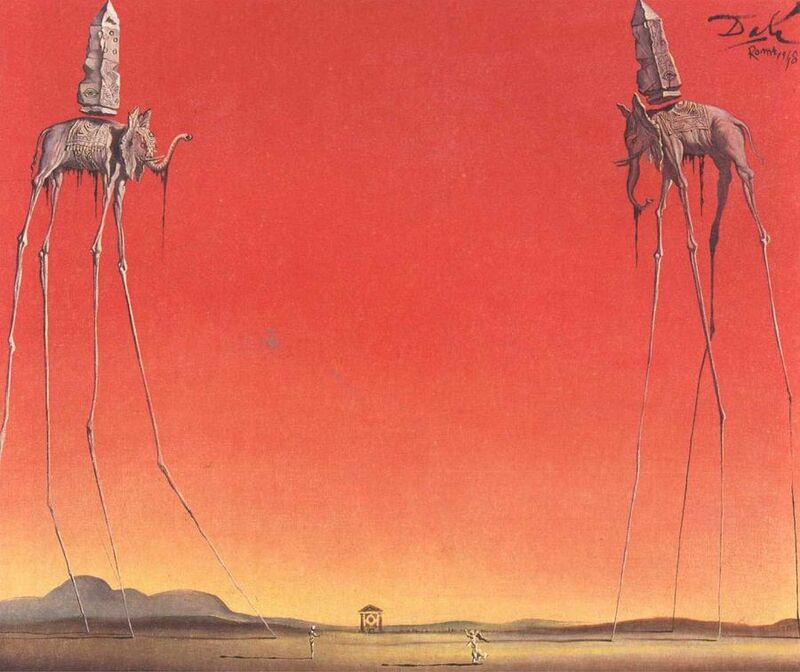 The infamous Spanish painter Salvador Dalí often included animals in his work and elephants appear a number of times. In this particular piece, he paints elephants with extremely long and thin legs and retains their large bodies. This work was inspired by Gian Lorenzo Bernini’s sculptures in Rome which depict an elephant carrying an obelisk. The Elephants is notable for its vibrant colours and distinctive style. War is a pastel on paper piece of work that was inspired by the violence and devastation in the Iraq War. 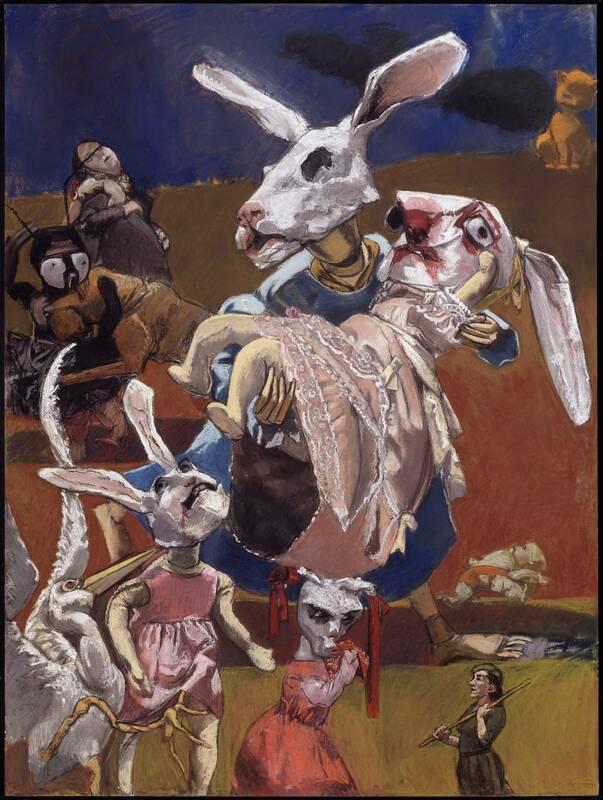 The painting depicts rabbit-headed figures in a chaotic scene. A rabbit-headed woman is the focus of the piece, carrying a wounded child. This painting has been praised for its powerful and emotive message.